We recently co-hosted a show with Red Door at the Red Rattler in Marrickville with all proceeds going to the Dirty Shirlows collective. It was a fantastic night with incredible performances from Making, Nakagin, Haunts and Option Command, all of which were captured by the wonderful folk at Skydreams. 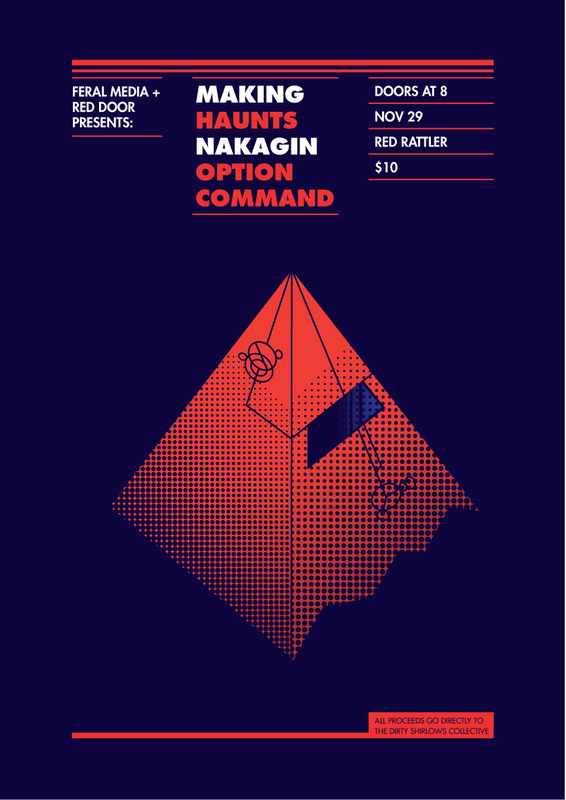 This entry was posted in Events and tagged haunts, making, nakagin, option command, red door on December 13, 2012 by feralmedia2.